I've been saying this for a while and I will continue to say it until integrations for Accelerated Mobile Pages (AMP) are drastically improved, it's just not worth it. While in its current incumbent AMP setup is sluggish and requires a lot of effort on the site owners part to reap very little benefits. At the moment search algorithms are still finding their feet between AMP bias or quality content and finally, AMP being open source no one has the definitive take on how to use the tool and new variations are being released constantly. 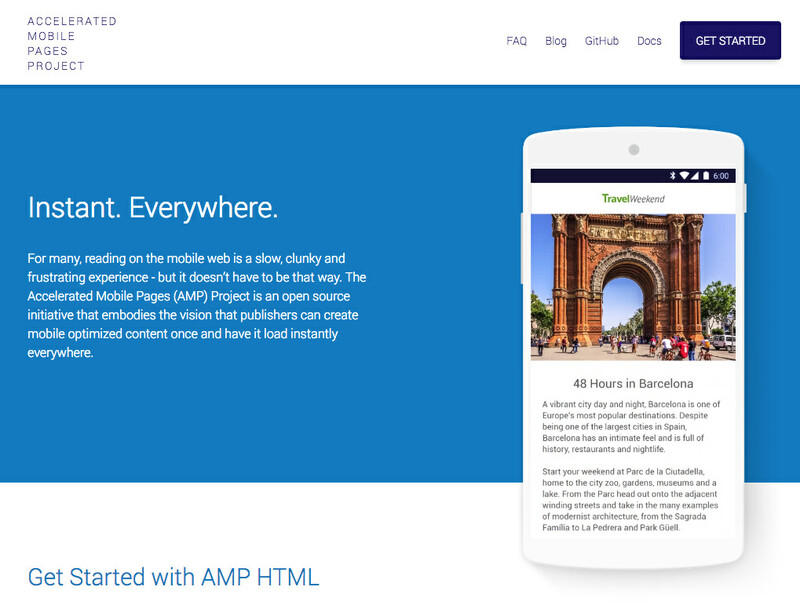 So my advice to those of you considering a move to AMP is wait a while, let the early adopters have this one and when the technology has truly been defined, by all means, AMP as much of your site as your heart desires. If you have been in digital in the last 5 years you should be sick of hearing the following buzzwords, feel free to skip ahead if you simply can't take it anymore. My personal bias would be to go subfolder and my second choice would be subdomain. Simply for the sake of my sanity and the control I feel I would have over them in terms of adding additional scripts in future. Now after you've decided where you're going to host these AMPs you'll need to add some special markups and tags to eliminate confusion and duplication for the google bot. Adding tags is what GTM does best, well it's kinda the only thing GTM does so let's begin. To make it easier for users to deploy third-party tags, Google developed an open format called the "Google Tag Manager Vendor Tag Template Program" that allows vendors to implement and maintain their own tag templates. The Google Tag Manager Tag Vendor Program allows tag providers to natively integrate with Google Tag Manager's tag templating system. AMP containers are built with the familiarity and flexibility that existing Google Tag Manager users already used to. As with our other solutions in Tag Manager, AMP containers “just work” out of the box. Now that your AMP container is set up you can now set up all the tracking and tags you'd like or mirror the ones on your current website.